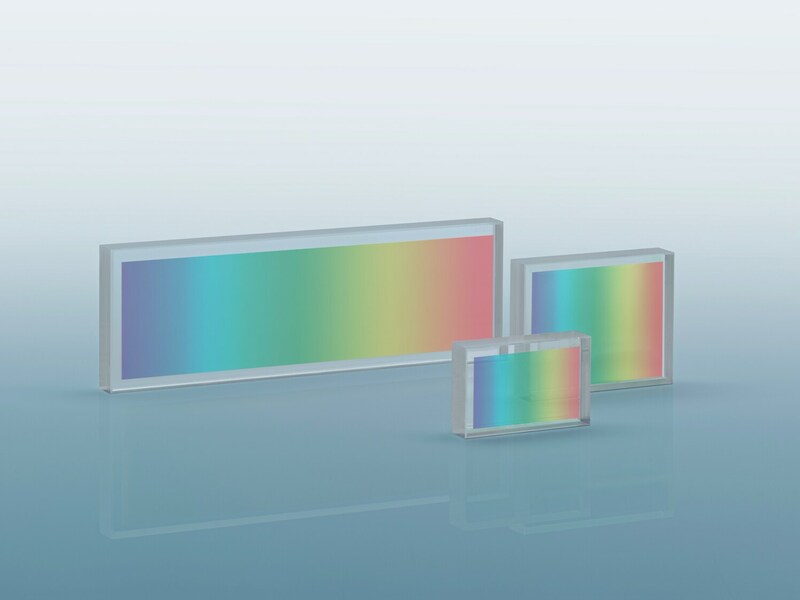 Thanks to more than 25 years of experiences as pioneer in design and fabrication of diffractive micro- and nano-optical elements, Jenoptik can provide excellent diffraction performances solutions for your gratings custom applications. Excellence in design together with state-of-art of lithographic technology and high level of flexibility, allow Jenoptik to manufacture diffraction gratings with different profiles (i.e. Binary, Multilevel, Blazed) into different materials, offering the most suitable solution for your application, from UV to IR wavelengths. Diffraction gratings are one of the key elements in CPA (chirped pulse amplification) setups of femtosecond lasers. The diffraction efficiency of the pulse compression gratings (PCGs) has a huge impact on your laser performances in terms of efficiency and beam quality. The e²® - PCGs from Jenoptik are the right solution to enhance your laser performances. Besides high diffraction efficiency, low wavefront error, high laser induced damage threshold, the e²® - PCGs are protected against external mechanical damages and dusty due to the fact that the grating structure itself is embedded. The Jenoptik PCGs are custom designed and fabricated into high-purity fused silica guaranteeing high laser damage threshold and thermal stability. Blazed gratings are optical gratings, which are design in such a way to optimize diffraction efficiency for a specific diffraction order. Although blaze gratings are typically designed for single wavelengths and small diffraction angles, Jenoptik´s blazed gratings can also work at larger angles. Like other optical gratings, blazed gratings are periodic in design, which determines to final diffraction angle. The profile of the blazed grating is a triangular cross section, often called a sawtooth-shaped cross section. Jenoptik can fabricate blazed gratings with very tight control on the period and the angle of the saw tooth cross section, which results in a high diffraction efficiency in the desired diffraction order. Highly effective: maximum diffraction efficiency. Spectroscopy: grating prisms (GRISM) and spectrometers for beam steering and splitting.